“When I look at it straight it looks straight, but when I look at it sideways it looks crooked, ” says Jaap Hoogstraten, director of exhibitions at the Field Museum. The man paces in front of an arch decorated with red, blue and gold images of ancient Chinese life. The air smells like dust, and a saw grinds on a bench in the middle of the gallery. Project manager Tom Skwerski stands behind him. The men are standing in the Cyrus Tang Hall of China, an upcoming exhibit at The Field Museum slated to open just three months from that day. The arch is stenciled with what look like the same designs that decorate the entrance gate to Chicago’s Chinatown neighborhood, but is it crooked? Hoogstraten and Skwerski have had this debate before, Hoogstraten says. Perhaps they’ll have it again. The men walk away and start talking about what still needs to be done. The nearly 400 objects need to be mounted; the mounts need to be attached to bases; the bases need to be covered in decorative felt. The producers need to speed up the slideshows on Chinese dynastic history and, speaking of technology, the technology for the projections of Neolithic China still needs to be developed. The men have three months. The Cyrus Tang Hall of China is the first and largest museum exhibit in America to focus on China’s 5,000 years of history, culture and perspectives. Field Museum staff have been discussing its production for eleven years. But with a country that’s changing as rapidly as China—its recent urbanization is demographically the fastest and largest in recorded history, according to the United Nations—questions of whether a permanent exhibit on this country even makes sense. This is the country famous for building a luxury hotel in two weeks, after all. Can any account of China remain relevant for fifty years? 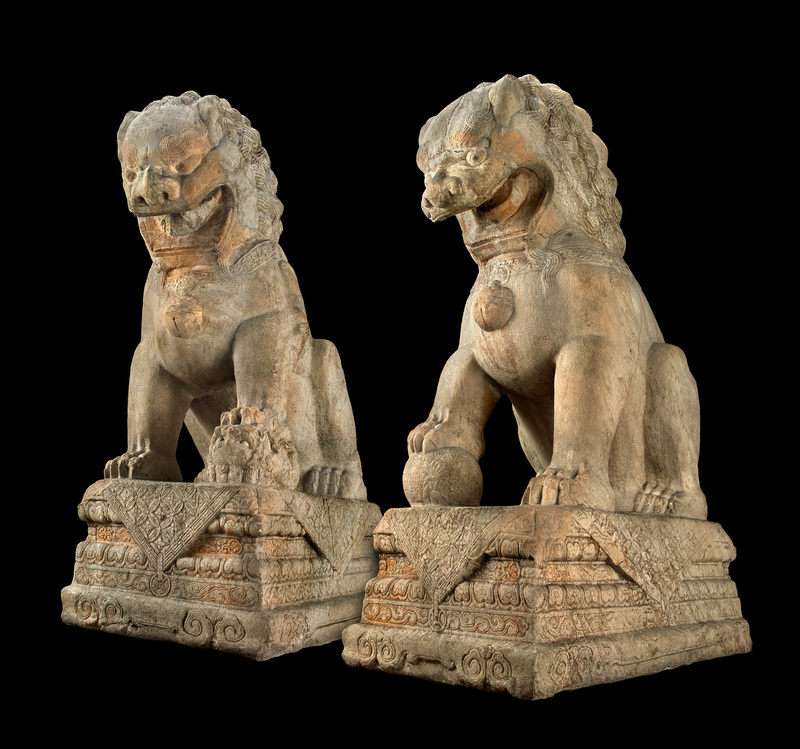 The exhibit entrance is decorated with two great guardian lions. Gifted to the Field Museum in the 1930s by the prominent Studebaker family—the founders of the now-defunct American automobile and wagon manufacturing company—the two large cats sat at the family’s home in South Bend, Indiana before donation. Once donated, they prowled the Field Museum’s halls, sitting inside and out without any protective barriers. Children with sticky fingers climbed the marble lions, and used gum was stuck to them. After passing the two great lions, visitors will enter the Cyrus Tang Hall of China’s first gallery on the country’s Neolithic era. 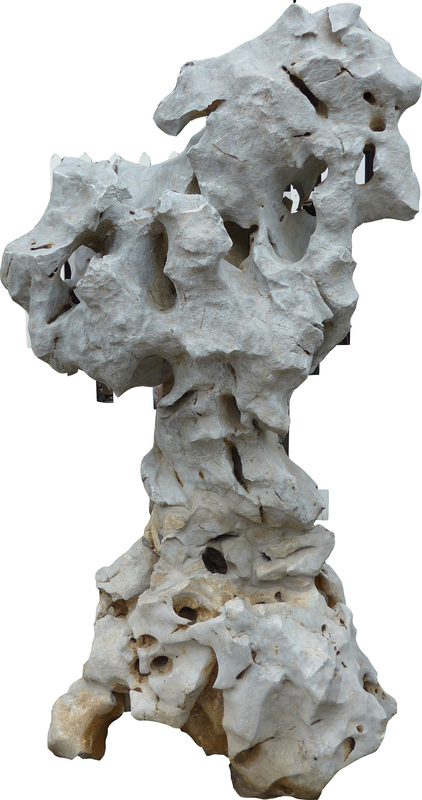 Objects are 75,000 years old, not lacquered and not the most charismatic, Hoogstraten admits. The director of exhibitions believes they require interpretation. For him—and the rest of the museum curation team—explanation comes in the form of digital projection. A 360-degree picture will be screened on the hall’s walls of what China looked like before agriculture, and a discussion of the climate’s influence on daily life will be featured in script underneath. Text will tell visitors about dry, arid northeast China and the hot, humid southwest. In the north, the Chinese were a nomadic people, whose culture was greatly influenced by the Mongolians. In the south, the land was easy to cultivate, society was community-based and the culture was scientifically advanced—these were the people who invented paper, gunpowder and the compass. The hall’s infrastructure had to be completed before any projection equipment or objects were installed—“You can’t be wielding a circular saw around a Ming [dynasty] vase,” Skwerski says—and the crooked arch debate also needed to be resolved. All of that happened in mid-March. Two-thirds of the artifacts in the Cyrus Tang Hall have never been featured beyond The Field Museum’s basement. Some have sat downstairs for nearly a hundred years. Only about one percent of The Field Museum’s total collection is on display at any one time, Hoogstraten says, although many of the items are used for research, loans and a good percentage are also insects. The majority of the items in the Cyrus Tang Hall were collected by the great traveler and early curator for the Field Museum Berthold Laufer, a prominent sinologist whose 1920s work acquiring and translating ancient Chinese texts shed light on cultures of other countries in the region (including ancient Iran, located near the end of the Silk Road trading route where fineries such as gold, silk and spice changed hands). Yet the objects displayed in the Cyrus Tang Hall are symbolic of China in an age of decline, not glory. They are linked to a time in Chinese history when the nation was caught in painful growing pains, struggling to modernize and adapt ancient traditions in light of new demands. During the half-century preceding the founding of the modern People’s Republic of China, when Laufer collected these objects, the nation was not only devastated by defeat in the Sino-Japanese and Opium Wars, but also traumatized by the Japanese invasion before and during World War II. Chinese bureaucrats have a history of exaggerating to the public and editing these—and other messier, harder to accept—details from China’s recent history in order to suit specific political agendas. Understanding the difference between truth and propaganda sometimes proved producing a permanent, accurate exhibit of the country’s history challenging, Hoogstraten says. 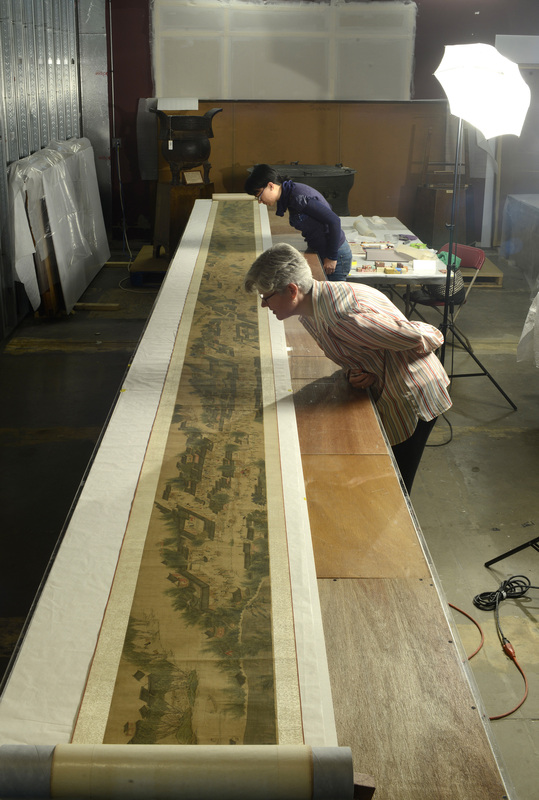 Only eighteen inches of the twenty-seven-foot scroll will be displayed at one time. But at least two-thirds of the scroll will also be reproduced in a light-box graphic above the glass cases. Visitors will be able to use a fifty-five-inch table touch screen to zoom in and literally scroll through the people, shops and activities painted on the scroll. The technology will be developed along a digital rail, located underneath both the scroll and individual objects. In addition to being able to zoom in on every warp and weft of “Along the River”’s silk, users will also have access to multiple texts, embedded slideshows and video clips that illuminate the multiple histories each object tells about China. User time spent with each touch screen ranges between ten and fifteen minutes. 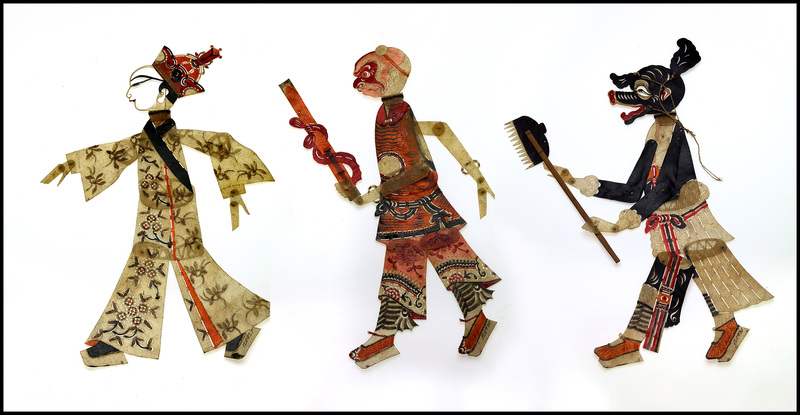 Following a treatise on the Han dynasty, the exhibit will explore themes that have remained influential during China’s 5,000 years of continuous history such as Confucian values, global trade and shadow puppets. Berthold Laufer was a puppet enthusiast. The Field Museum’s extensive collection of leather Chinese shadow puppets is a testament to that. Until 2013, the dolls were displayed in the original glass cases Laufer curated for them, with their display information typed by a typewriter. To add a modern spin to the collection, the team from Chinese Theatre Works in New York performed in Chicago for the International Puppet Theater Festival this past January. 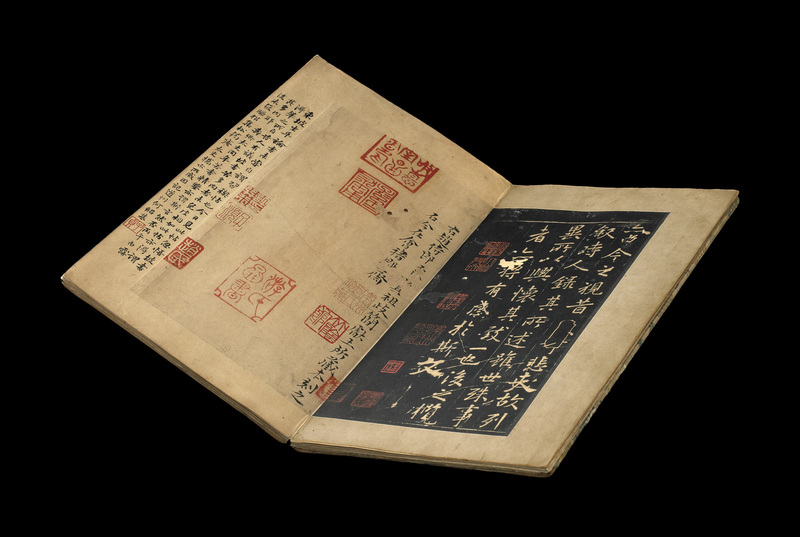 The Field Museum recorded the outfit’s performance of “Journey to the West,” a classic Chinese tale that tells of a monk’s misadventures in India while on a mission to steal a set of Buddhist sutras. The video of the group’s performance will feature the actual show, as well as the behind-the-curtain mechanics of the recital. The gallery space was boarded before the Cyrus Tang Hall moved in. No exhibit was developed, and the windows were shuttered. Now, the garden’s window view of Lake Michigan invites Chicago visitors to do just one thing: look East. 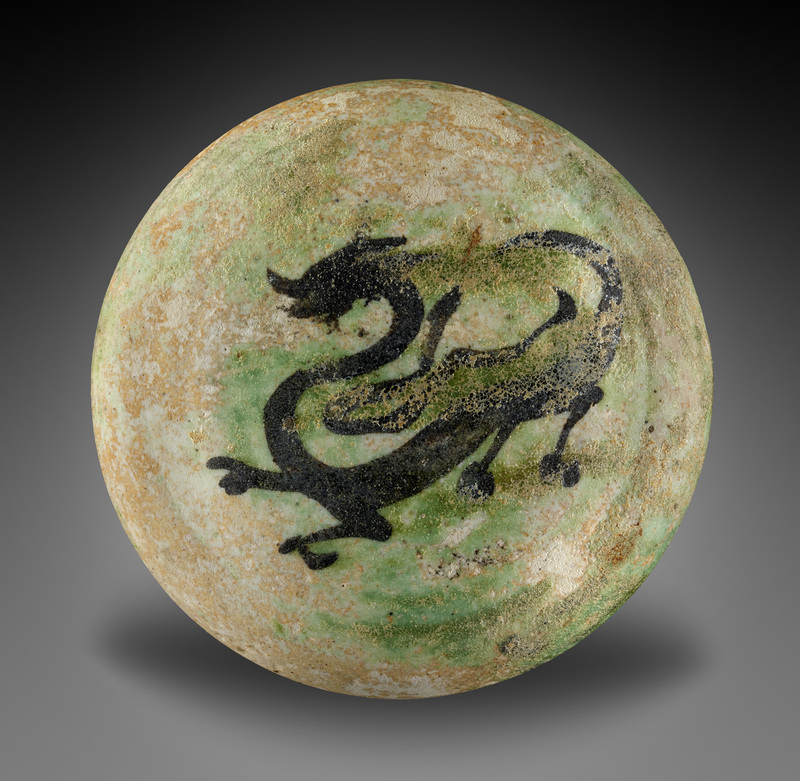 The Cyrus Tang Hall of China opens at the Field Museum, 1400 South Lake Shore Drive, (312)922-9410, fieldmuseum.org, on June 24.